Daily Shoot: Make a photograph of two complementary objects arranged to show their relationship to each other. I'm reading "The Anthologist" - so far not a favourite. 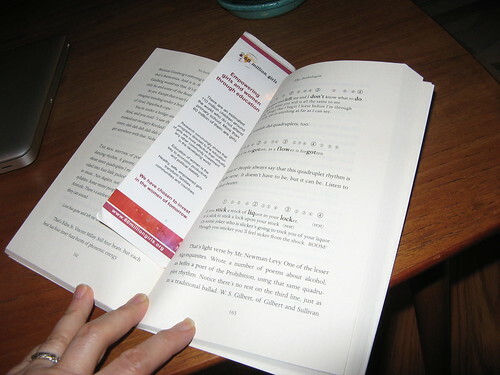 My bookmark keeps my place as I come back. The bookmark was given to me; it is from a Montreal organization: 60 Million Girls which supports education projects for girls in the developing world. "When you educate a girl you educate a whole family"
Good reminder as I read, how important literacy and education is to people around the world.